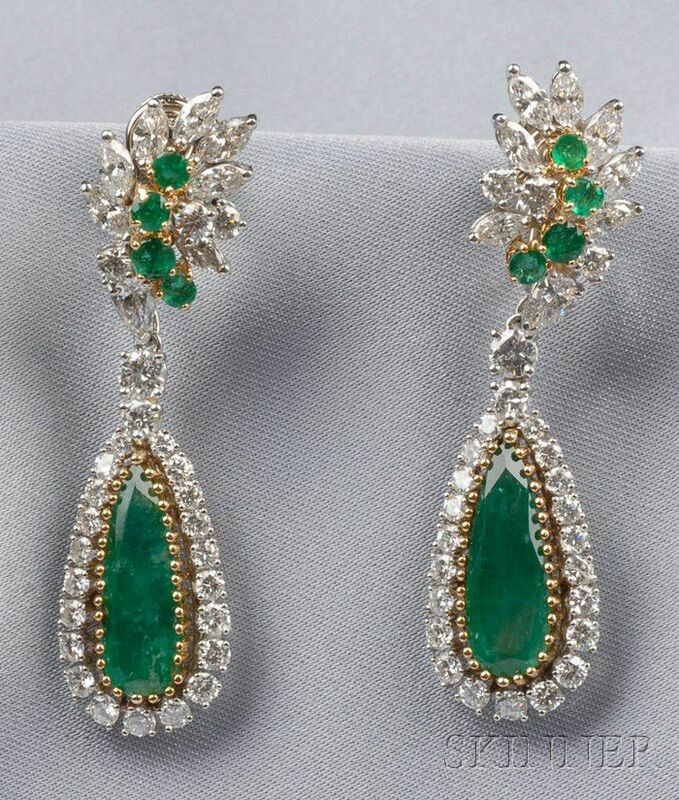 Platinum, Emerald, and Diamond Earclips, Cartier, each designed as a leaf set with pear, marquise, and circular-cut diamonds, emerald melee accents, with day/night findings, lg. 7/8 in., no. 92818, signed Cartier, boxed and together with associated emerald and diamond pendant attachments, total lg. 2 in. 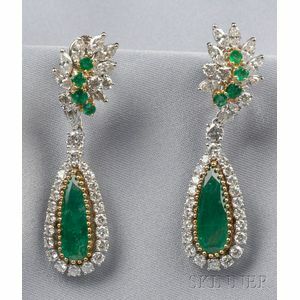 The drops are associated- the quality of the emeralds are included and a bit dull, but diamonds face up white and are lively. The earring tops are with screwback findings. Emereralds are lively and pleasant, but with typical inclusions, and diamonds face up white and are lively.